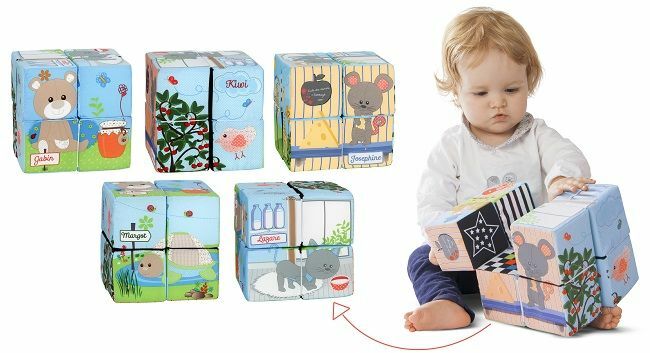 Perfect for inquisitive young minds! 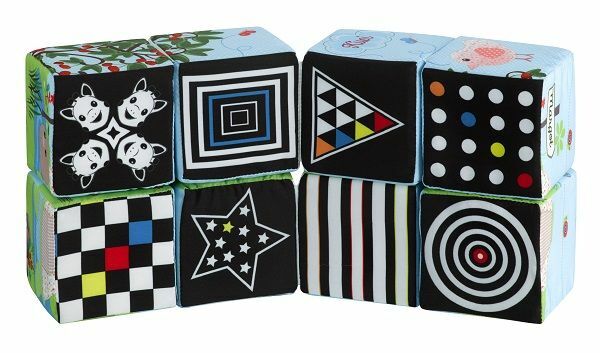 Your child will easily be able to manipulate the Magic Cubes to discover the nine different images. 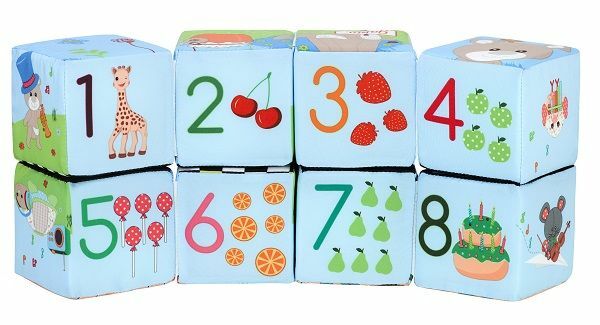 This product grows with baby and accompanies the progressing developmental stages. 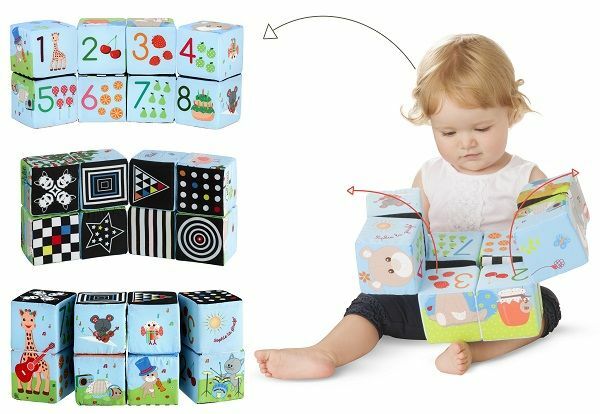 Lightweight and easy to handle, it is perfect for inquisitive young minds! 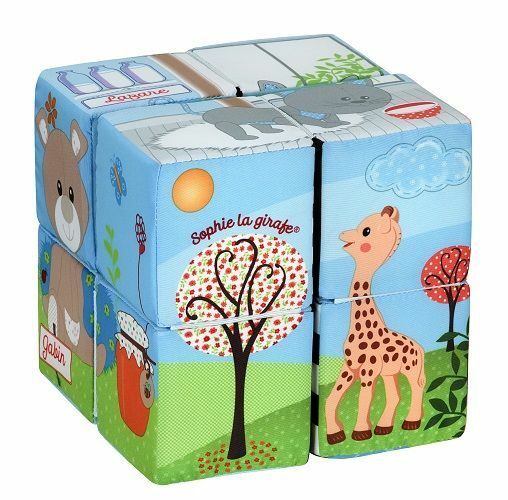 The cubes are cleverly connected to each other, making the transformation process from design to design simple and fun. Try it, you'll love it!